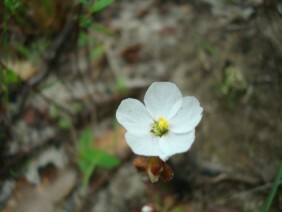 Dwarf Sundew is one of our few carnivorious plants. 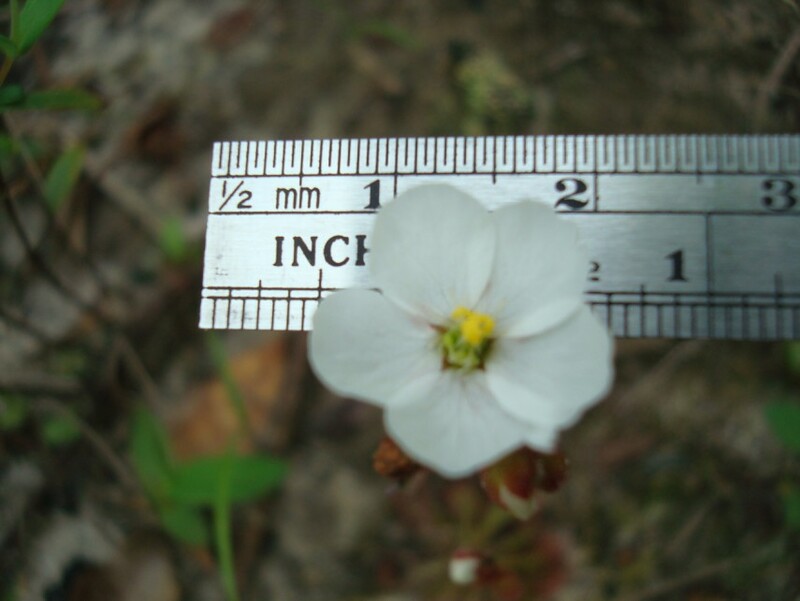 The flower is large for the size of the plant, and easier to spot than the basal rosette. 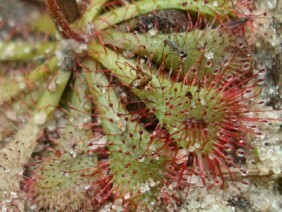 If you closely examine the photos you can see some insects in the process of being "eaten." 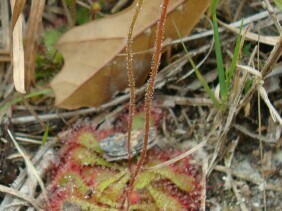 Note the glandular hairs (the hairs with a drop of liquid at the tip) on the flower stems in the last photo; their presence helps distinguish Dwarf Sundew from Pink Sundew. 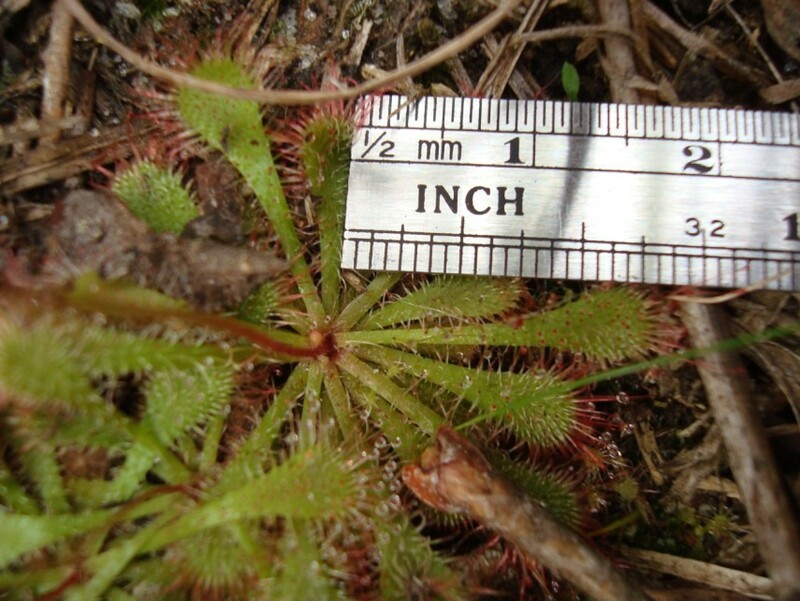 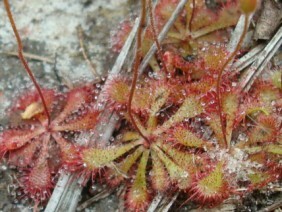 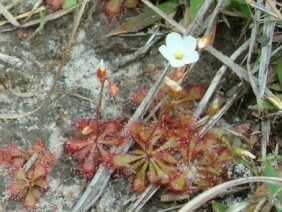 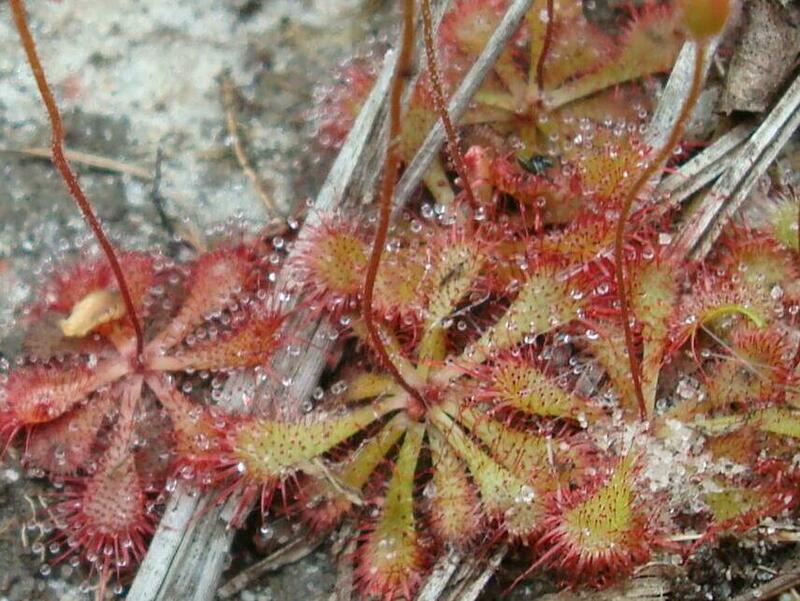 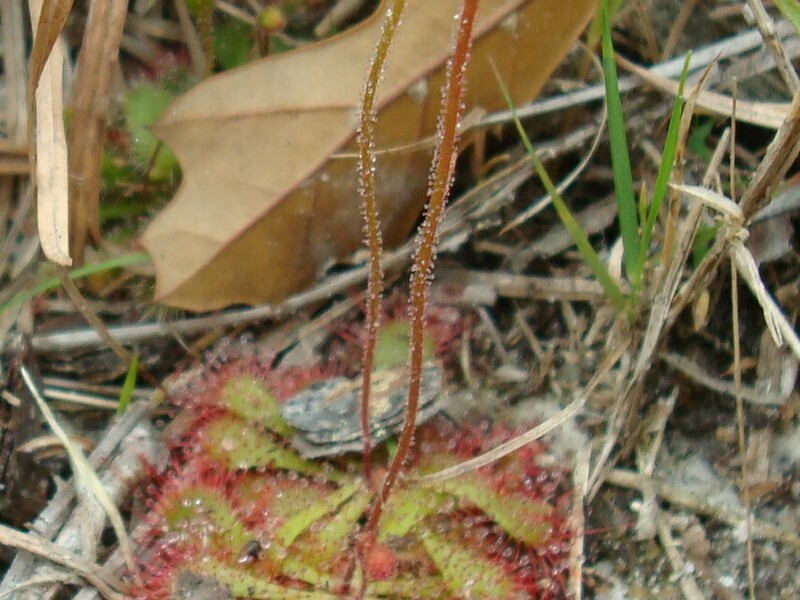 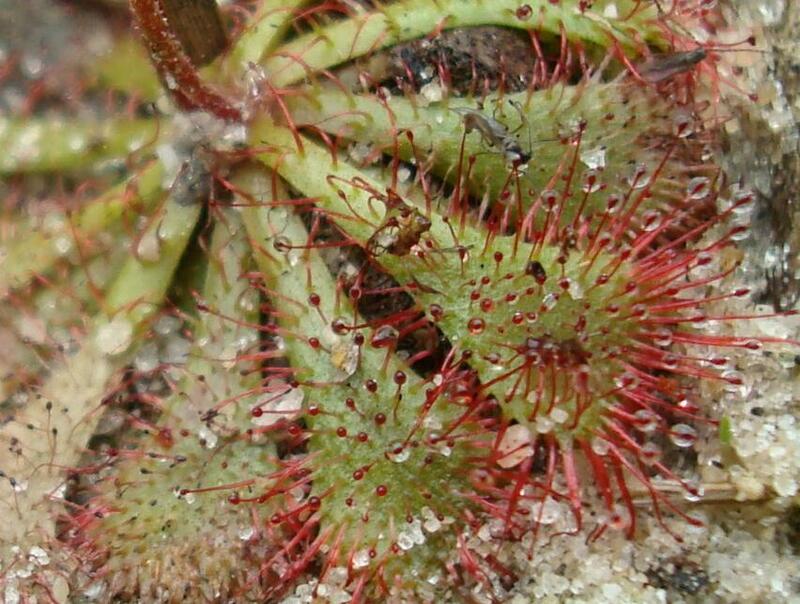 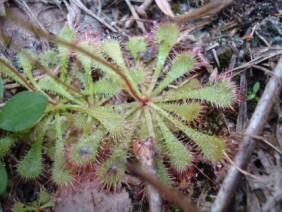 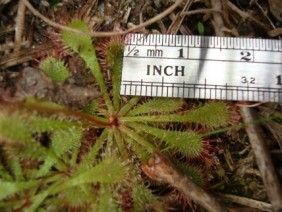 Another difference is that the leaves of Pink Sundew are more spatulate than are those of Dwarf Sundew. 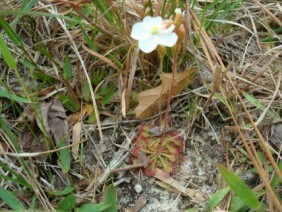 These plants were photographed near Rabbit Creek, in South Mobile County, Alabama, in April.